Now that the very first users of the Excelerate SPANISH program are wrapping up their school year, the feedback is beginning to come in! I’m excited to share it with you, and I hope that the comments of these moms will help to answer some of your own questions. They all love the lessons and have all picked out “favorite lessons” ahead, based on lesson titles. They were quite sad to hear we were putting away the Spanish books for the year. But don’t worry, we will be picking them back up in July as we cruise forward in our next school year. My daughter will finish the book next year for her Spanish 1 requirement for high school. And we both hope that there will be an Excelerate Spanish 2 in the near future. After using the Excelerate Spanish curriculum, nothing else seems like a good fit for my kinesthetic family. I fully intend to repeat the course for my boys once they hit high school as I am a huge fan of repetition being an excellent teacher! “I Love , Love, love this curriculum!!! I can’t say enough about how amazing it is, except to say Caryn, you got it right!!! Are you working on curriculum for any other languages? Latin??? 😉 Thank you for your work in putting this curriculum together!!! I hope to post additional comments soon. 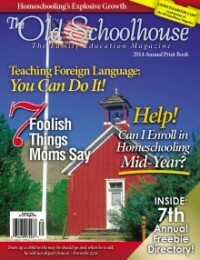 In the meantime, please check out these Excelerate SPANISH reviews from homeschool bloggers. Also, if you haven’t already grabbed your new 2014 Annual Print edition of The Old Schoolhouse Magazine, please do. I’m pleased to relate that Excelerate SPANISH received positive mention in two separate articles! 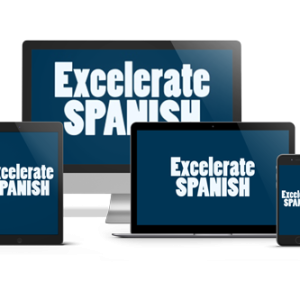 If you used Excelerate SPANISH this year, would you please take a moment to contact me with your feedback? I’d love to hear your thoughts, questions, and suggestions! We have always had to search for “out of the box” type programs to help my son learn. 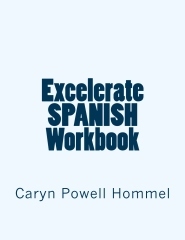 Earlier this year we found an innovative homeschool Spanish curriculum called Excelerate Spanish by Caryn Powell Hommel.